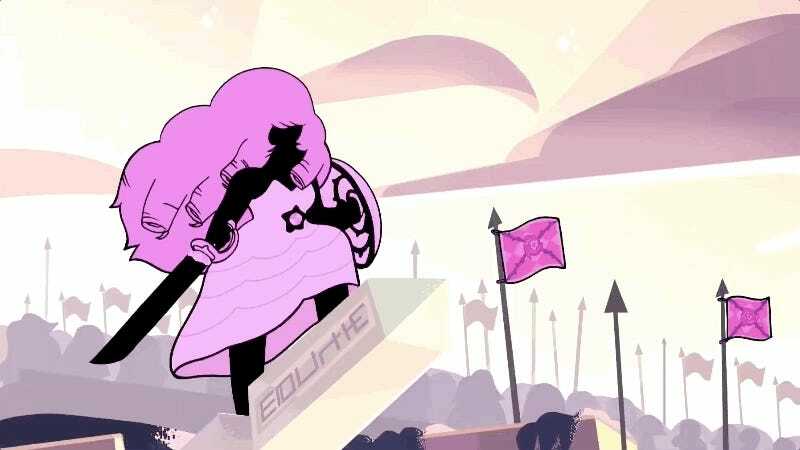 Rose Quartz gazing upon a battlefield during the Gem War. It’s incredible to think that Steven Universe creator Rebecca Sugar had most of the series’ grand narrative arc planned out in detail years before it began airing on Cartoon Network. 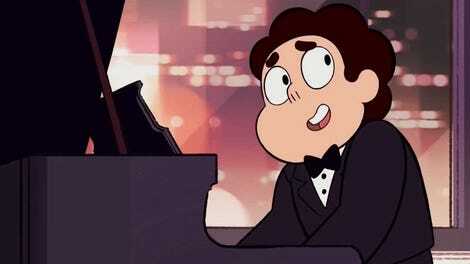 All of Steven and the Gems’ triumphs, discoveries, and adventures have been leading up to this moment. Slowly, but surely, Steven Universe has been building up to Steven finally learning about the horrible secrets and mysteries that the Gems have hidden from him for his entire life. 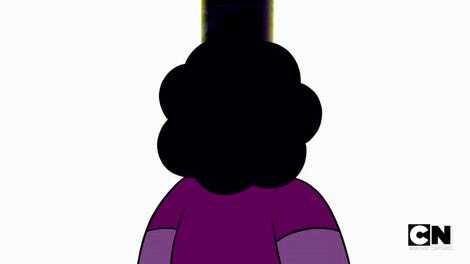 He knows that his mother Rose allegedly shattered Pink Diamond during the Gem rebellion she began which ended in the deaths and corruptions of a number of her allies. But as he’s gotten closer to the truth, Steven’s realized that what little information he’s gleaned from both the Crystal Gems and the Homeworld Diamonds doesn’t quite add up. In preparation for Steven Universe’s return on April 9, Cartoon Network’s just dropped a new video recapping the murder mystery surrounding Pink Diamond’s shattering, giving us a glimpse at how Yellow, Blue, and White Diamond ended the Gem War with the weapon that created all of the Earth’s corrupted gems. What interesting about the new footage is that it’s all rendered in Steven Universe’s storytelling style, suggesting that someone’s once again explaining something to him. There are brief glimpses of what looks to be an unhinged Pink Diamond cackling as Yellow and Blue look down in a mix of bemusement and fear, which gels with what the Crystal Gems have told Steven about her villainy in the past. But none of this necessarily means that what Steven’s been told is the entire truth. In any case, when the next Stevenbomb drops there’s going to be a whole mess of new information to pore over, so now’s as good a time as any to catch up and get ready.